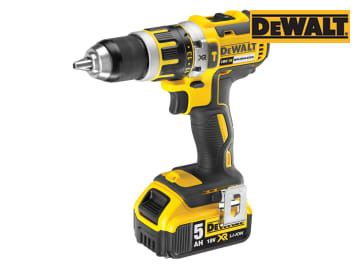 The DEWALT DCD795 18 Volt Compact Brushless Hammer Drill Driver uses brushless motor technology for excellent efficiency. The brushless motor delivers up to 57% more run time over brushed. Its ultra compact, lightweight design allows use in confined spaces. The two speed all metal transmission increases runtime and provides a longer tool life. Compact (7.8in front to back), lightweight (1.62kg) design fits into tight areas. High speed transmission delivers 2-speed settings (0-600/0-2,000 RPM) improving speed and torque control across a range fastening and drilling applications. It offers 0-34,000 BPM for fast drilling in masonry materials. An ergonomic comfort grip handle provides ideal balance and tool control. The LED light with 20 second trigger release delay provides increased visibility in dark or confined spaces. The LED placement on tool foot eliminates chuck shadows. XR™ Li-Ion batteries with fuel gauge provide 33% more capacity over standard packs. DCD795N: Bare Unit, No Battery or Charger. DCD795D1: 1 x 18 Volt 2.0Ah Li-Ion Battery. DCD795D2: 2 x 18 Volt 2.0Ah Li-Ion Batteries. DCD795M1: 1 x 18 Volt 4.0Ah Li-Ion Battery. DCD795M2: 2 x 18 Volt 4.0Ah Li-Ion Batteries. DCD795P2: 2 x 18 Volt 5.0Ah Li-Ion Batteries. 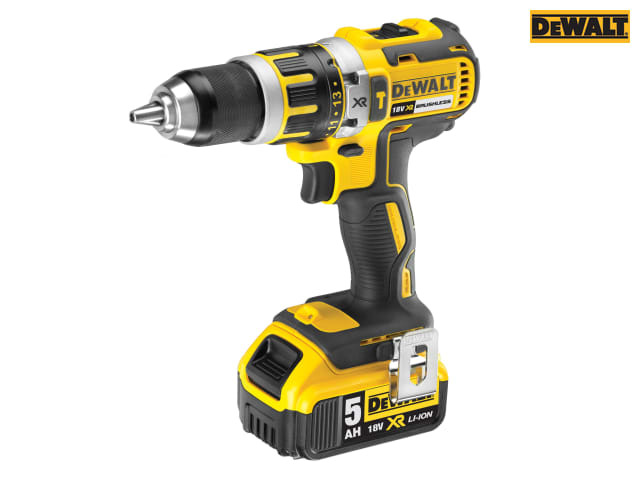 The DEWALT DCD795P1 XR Compact Brushless Hammer Drill Driver 18 Volt. Max Torque: Hard: 60Nm, Soft: 23Nm.